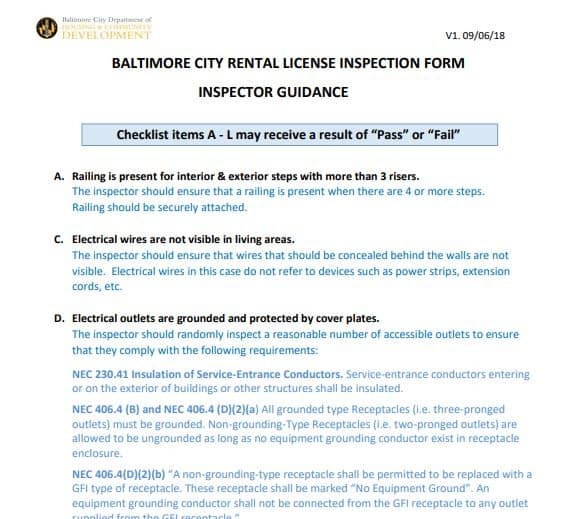 Property Inspection Pros can conduct Baltimore City rental inspections, a requirement for Property managers to obtain and renew a Baltimore City rental license. What’s new about the law? All Multiple-family dwellings (MFD) must be licensed. All one- and two-unit dwellings must also be licensed. All rental units (including one- and two-unit dwellings) must pass an inspection to obtain a license. All rental units must have a sanitation plan educating tenants on proper waste storage and disposal. Effective date of January 1, 2019. 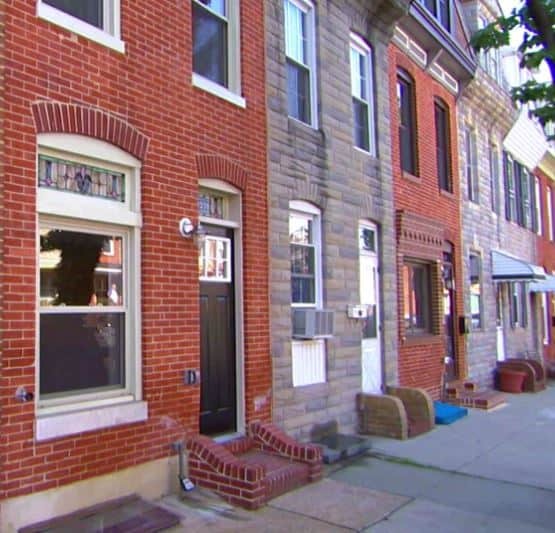 There is now a tiered license expiration based on property owner’s compliance with code. All initial licenses are issued for a two-year period. When it is time for renewal, a landlord may be able to obtain a three-year license or be limited to a two- or one-year license based on your maintenance record and violation history. 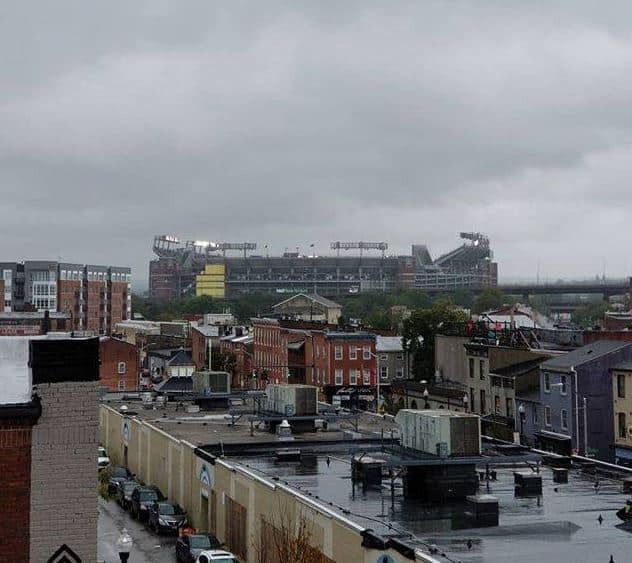 The Baltimore City Rental Inspection process is quite simple and usually won’t be longer than 30 minutes. As a matter of convenience, owners, landlords or property managers are not required to be at there as long as proper access has been coordinated with the tenant or, if vacant, there is a lock box in place. We will email you a copy of the inspection form in advance so you are aware of exactly what the county requires and what will be inspected. We encourage clients to understand the requirements in advance to avoid lost time and potential additional cost. Electrical live wires are not visible in living areas. Electrical outlets are protected by cover plates. Ground Fault Interrupter (GFI) protected. Smoke Detectors are properly installed and operational. Carbon Monoxide Alarms are properly installed and operational. Plumbing fixtures do not leak. The property has an operable heat supply system. The interior of the property is clean and sanitary. The interior of the property appears to be free of signs of infestation by rodents, insects, or pests. If there is a bedroom in the basement, there is proper egress in case of fire. The exterior is free of rodent burrows.